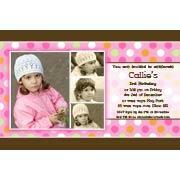 Photo Cards for girl birthday invitaitons and thank-you cards are an easy, affordable and classic way to invite family and friends to celebrate the birthday of your daughter. 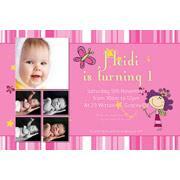 Take the time and hassel out of organising photo birthday invitations by ordering one of these creative birthday invitations photo cards and thank you cards. 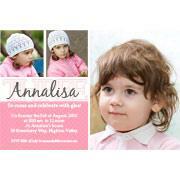 Hassel free, quick and easy check out means that designing and receiving your birth announcement is both quick and efficient leaving you time to organise the other details of your daughters birthday celebrations. 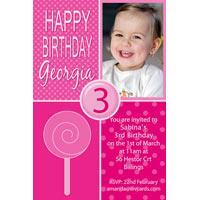 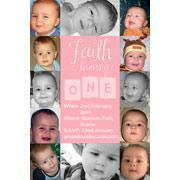 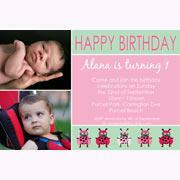 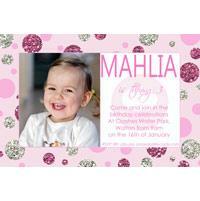 You will receive your birthday invitations for girls photo cards proof in minimal time. 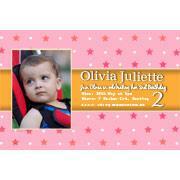 The only hard task is choosing which of the creative and unique girl birthday invitations photo card you like. 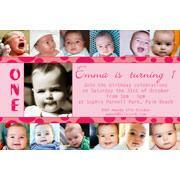 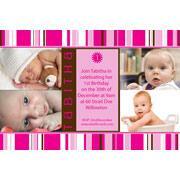 I am happy to personalise your photo card birthday invitation by changing fonts, colours and photo boxes. 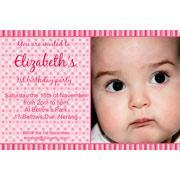 If you had something in mind or a theme to the party and can't see a design that would fit I do custom birthday invitation photo cards.